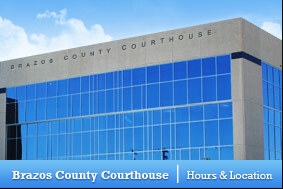 Stay informed of the latest County news and developments. Notify Me allows you to receive notifications, either via text message or email, on any of the items listed below. Brazos Center Select this category to be notified of any openings in the Brazos County Brazos Center Dept. Elections Administrator Performs duties of Voter Registrar, performs duties of County Clerk for elections in accordance to the Texas Election Code. Maintains compliance with Federal and State laws as specified in the Texas Election Code.